Everyone wants to be financially successful, but great financial success often brings negative side effects in other areas. In this exciting book, Yehuda Berg shows why the true purpose of our lives is complete happiness and total fulfillment. 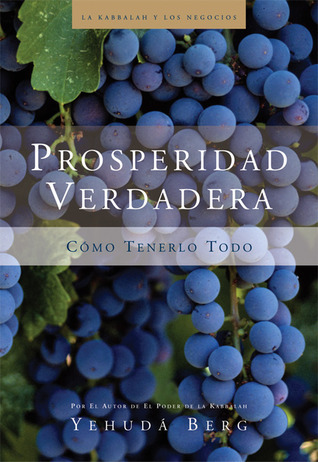 Drawing on the lessons of years of study and teaching, “Prosperidad Verdadera shows how the teachings of Kabbalah, the world’s oldest body of spiritual wisdom, can be used every day and every moment — not only to achieve success in one aspect of life, but to avoid the setbacks in other areas that can render any accomplishment empty and meaningless. Readers will gain powerful, practical tools for achieving unlimited abundance in money and finance, health and fitness, family and relationships, and lifelong spiritual growth. “Success without side effects” is the ultimate destination of every human being, and “Prosperidad Verdadera is the roadmap for getting there.